Jupiter has four large moons which were discovered by Galileo in 1610 using a 20-power telescope. These moons are known as the Galilean moons and they are called Io, Europa, Ganymede and Callisto. Jupiter also has dozens of other smaller moons that are thought to have originated from passing asteroids. So how many moons does Jupiter have? At the current count there are 67 confirmed moons of Jupiter. The largest four moons of Jupiter – Io, Europa, Ganymede and Callisto – were discovered by Galileo in 1610 and are known as the Galilean moons. They each have a radii larger than any of the dwarf planets and they are some of the largest objects in the solar system outside of the eight planets by mass. 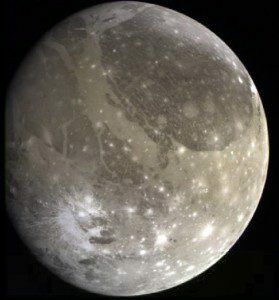 Ganymede is actually larger than Mercury in diameter. Discovered by Stephen Synnott through images taken by the Voyager 1 in 1979, Metis is the closest moon to Jupiter. It has a diameter of 40 km (25 miles) and orbits Jupiter in 0.294780 Earth days, which is faster than Jupiter rotates on its axis. It is named after the Greek Titaness Metis, who was the first wife of the god of the skies, Zeus. 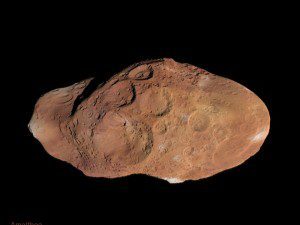 It is thought that Metis is an asteroid that was captured by Jupiter’s gravity. The moon orbits at 128,000 km (79,500 miles) from Jupiter and has a mass of 9 x 1016kg. Amalthea is the third moon from Jupiter and is the reddest object in the solar system. It was discovered by Edward Emerson Barnard in 1892. Amalthea is not a spherical moon with a diameter of 232 x 146 x 134 km (145 x 91 x 83 miles). It orbits 181,300 km (112,700 miles) from Jupiter, located in the faint Gossamer ring. The moon is named for Amalthea in Greek mythology, who was the foster-mother of Zeus and nursed the god of the skies when he was a baby with goats milk. 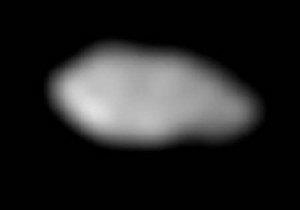 It is the largest of the inner moons of Jupiter and is most likely an asteroid captured by Jupiter. It takes Amalthea 0.49817905 Earth days to orbit Jupiter and like all the inner moons, it is tidally locked to the planet – the same side of the moon always faces Jupiter. Amalthea also gives off more heat than it receives from the Sun. The fourth moon from Jupiter is Thebe. It has a diameter of 110 x 90 km (68 x 56 miles) and orbits 222,000 km (138,000 miles) from Jupiter. Thebe was discovered by Stephen P. Synnott in 1979 and officially named in 1983. In Greek mythology, Thebe was a nymph and the daughter of the river god Asopus. 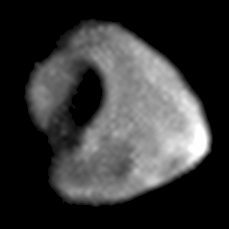 It is likely that Thebe, along with Amalthea, provide the dust for the Gossamer ring where they are located. Thebe has a mass of 8 x 1017kg and it takes the moon 0.6745 day Earth days to orbit Jupiter. 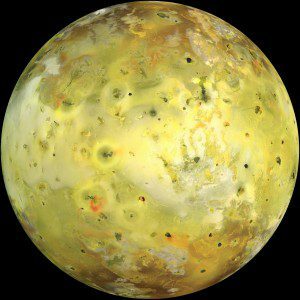 With a diameter of 3,636 km (1,942 miles), Io is very close in size to our Moon and it is around 422,000 km (220,000 miles) from Jupiter. Io has a mass of 8.93×1022 kg and takes 1.77 Earth days to orbit Jupiter. 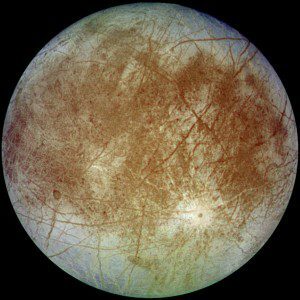 One scientific theory is that Europa contains a large liquid water ocean heated by its corde beneath the frozen icy shell – making it a world that may be able to sustain human life. 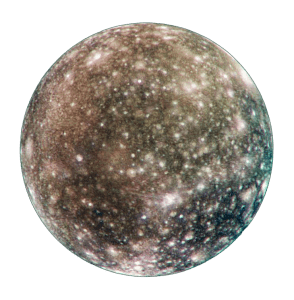 Jupiter’s seventeenth confirmed moon was Callirrhoe, also known as S/1999 J 1, and was discovered by Tim Spahr on July 18, 2000. It has a diameter of 8.6 km (5.3 miles) and orbits Jupiter at a distance of 24,100,000 km (14,975,000 miles). Callirrhoe has a mass of 9 × 1014kg and orbits Jupiter in a retrograde orbit that takes 758.77 Earth days to complete. In Greek mythology, Callirrhoe was the daughter of the river god Achelous, one of Zeus’ (Jupiter’s) many conquests.